If you want a masculine physique, you will need to work hard and make good choices when it comes to your diet and exercise routine. It is not completely impossible to get the “male model” body type. All you need to do is to make better decisions overall. 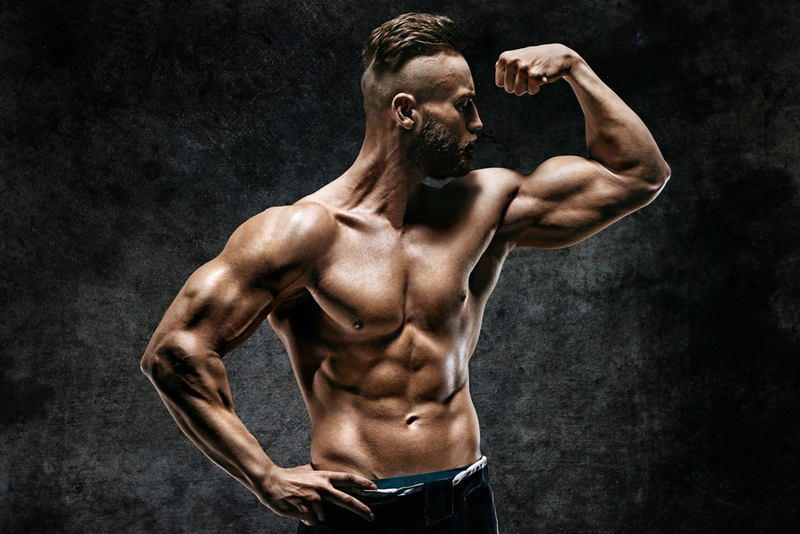 Here are a few tips to help you sculpt a more masculine physique. You need to have goals when you begin a workout plan. It may sound silly, but something that represents a dream board can be very useful. You need to have a plan before you even begin working out if you want to get the results you want. You need to go in with an idea for both your diet, training, and your life overall. Now I’m not saying you have to have it all figured out, but you do need to have something figured out before you begin. If you go to the gym without a clear plan in mind, you will end up just wasting your own time. You will go from machine to machine, not really knowing why you are there. You will probably end up leaving earlier too, as you do not have a goal in mind so “30 minutes is just fine.” If you have a plan, you will spend the right amount of time in the gym and you will hit all the muscle groups that you need to before you leave. Try to avoid trendy diets and ideas about weight loss and fitness. These generally do not have any basis behind them, and just because they worked for “Mike in NYC” does not mean that they will work for you. Especially try to avoid celebrity diets. Remember that celebrities pay someone to train them in the gym, make their food, and do everything in between when it comes to weight loss and fitness. Remember that any diet or fitness tips that claim that you can get into shape in a short amount of time are probably wrong. To get to your ultimate fitness goals it is going to take time and dedication. The diets that show you losing ten pounds in two weeks might work, but they are very unhealthy for your body as you are basically just starving yourself. If you are smart about your diet, and your exercise routine, you will see the results that you want. Get into the Weight Room. Of course, cardio will keep you in shape, but if you want the masculine physique, you will need to start hitting the weight room. Weight training is far more beneficial to your body, if you are trying to build a physique. This does not mean that you need to cut out cardio completely, but you should spend more time in the weight room than on the treadmill. When it comes to the weight room, you need to be smart about your workouts. Make sure that you are getting a full body workout every week. Your whole body involves the physique that you want, so do not skip out on certain exercises just because you want big arms. You will want your body to be in proportion, so make sure that you are working all muscle groups, with the same consistency, each week. Do Not Cheat on Your Workouts. Especially when you are in the weight room, do not cheat. You need to work your muscles to their full capacity, every time, if you want to see results. You shouldn’t lift the heaviest weights to get the biggest muscles. Where you perfect body lies is in the reps, not the weight. If you are able to lift 50 pounds 30 times, instead of 100 pounds only 10 times, you will see results much quicker. You may have to push yourself harder with less weight, but it will be very beneficial to your ideal body journey. Choose Workouts That Work Multiple Muscle Groups. This will be the most beneficial to your body journey. The more complex your workouts become, the more likely it is that you will have more muscle growth. Also, the more complex your workouts become, the more likely you will be to burn fat while working out. You will also do more calorie burning every time you are in the gym, which is beneficial for your physique. Compounds workouts aren’t as hard as they sound. For example, pull ups are a type of compound workout. They workout multiple muscles in your arms and back. 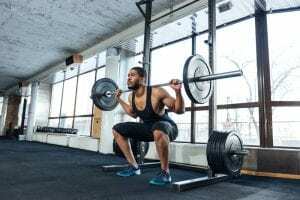 Even squats, one of the most popular forms of exercises, are compound exercises. Squats work multiple muscles in your legs and even some in your core. If you look, you will find many beneficial compound workouts that are fairly easy to do. Change Some of Your Lifestyle Choices. Little changes in your daily life can result in big changes in the end. You can spend all the time that you want in the gym, but if you do not make changes in your everyday life, you may not see the results that you want. You only have to make small changes in your everyday life, if you want to help yourself outside of the gym. Even if you have already spent your time in the gym for the day, make decisions that will still keep you active. You can take the stairs at work or you can go for evening walks. A masculine physique does not only happen in the gym, it is created from your choices outside of the gym too. Keep in mind that it is never a bad idea to be active. Sleep is beneficial to your body no matter what. It can help you to build muscle as it is a time that your body uses to repair muscle tissue and to help build up the muscles that you worked throughout the day. Also, if you are sleep deprived, you will be more likely to skip the gym, as your bed will sound so much more tempting. Remember that all of these things are important for building a more masculine physique, but sleep may be one of the most beneficial ones.